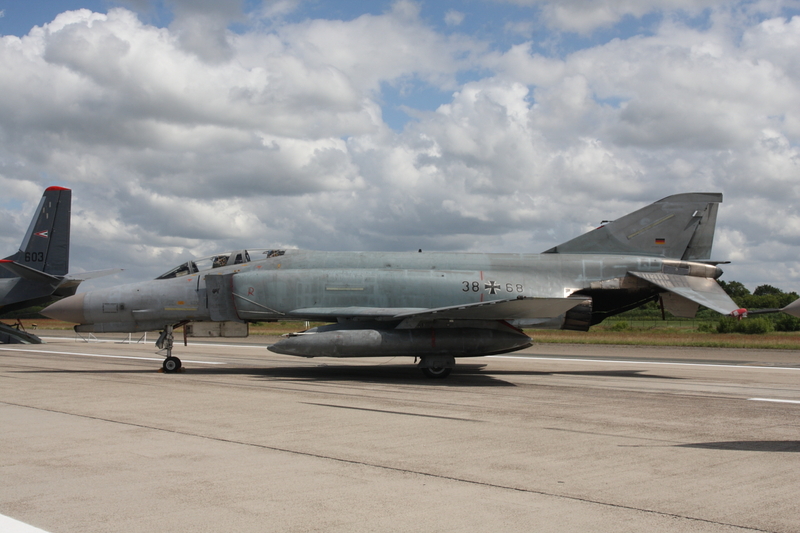 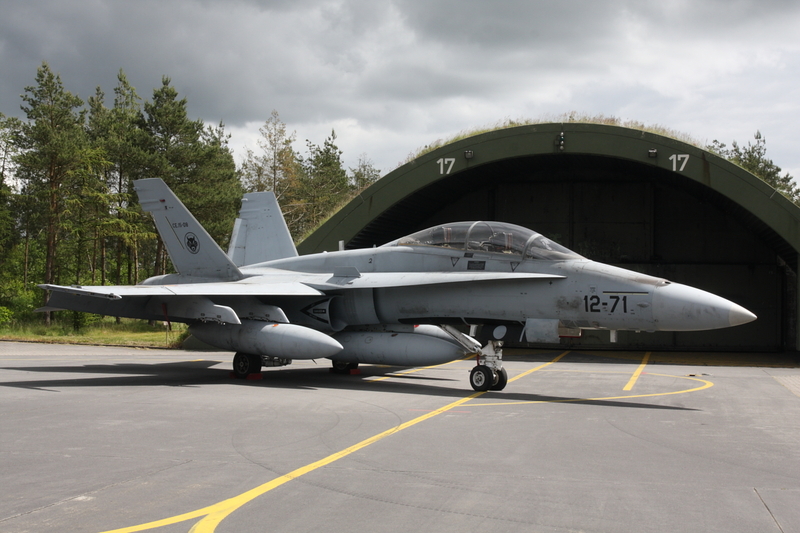 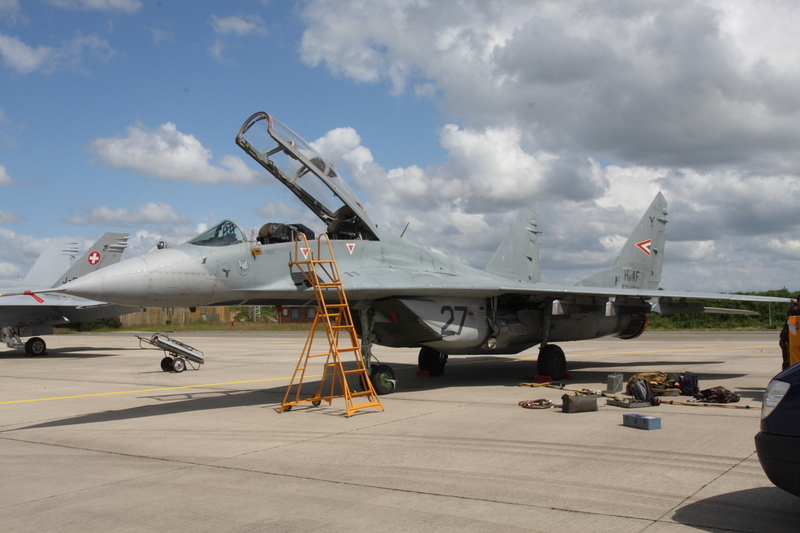 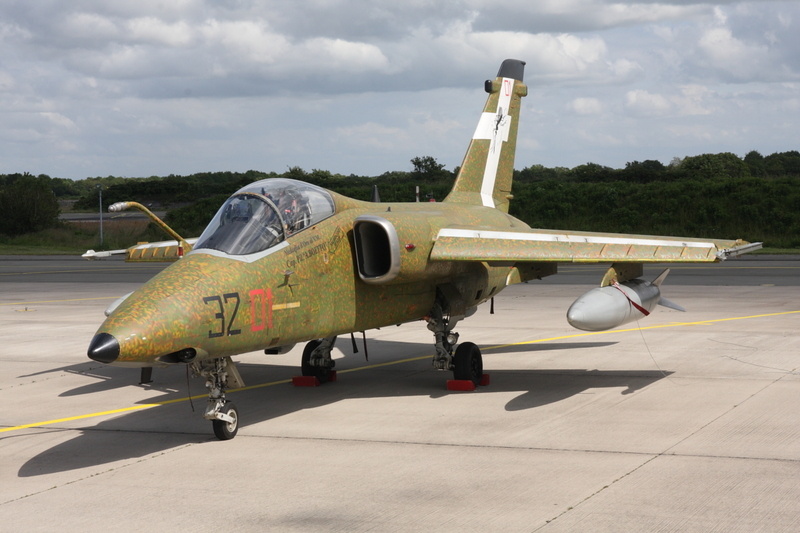 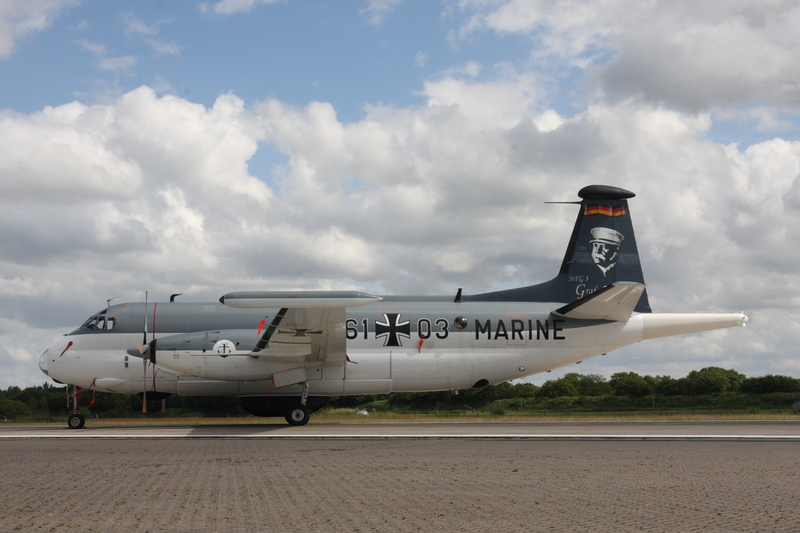 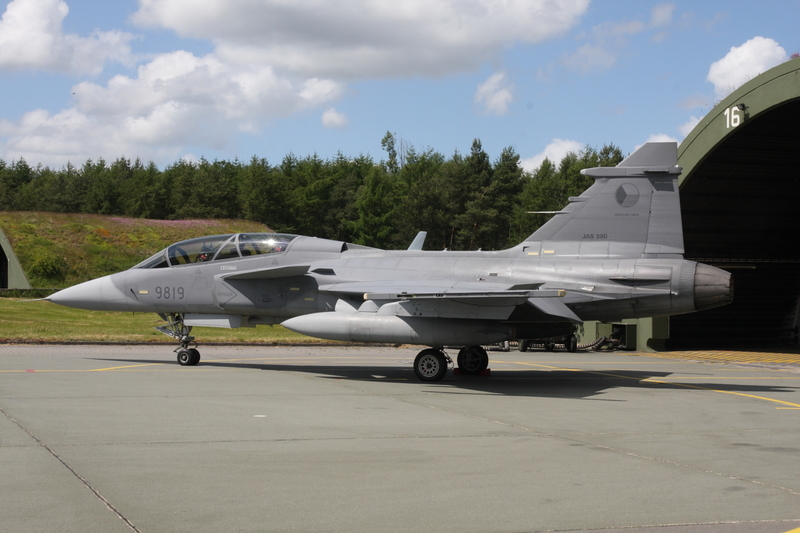 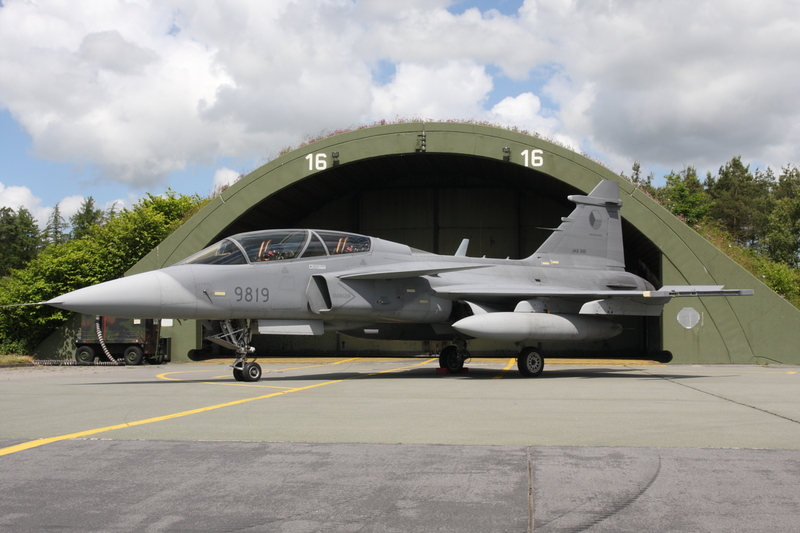 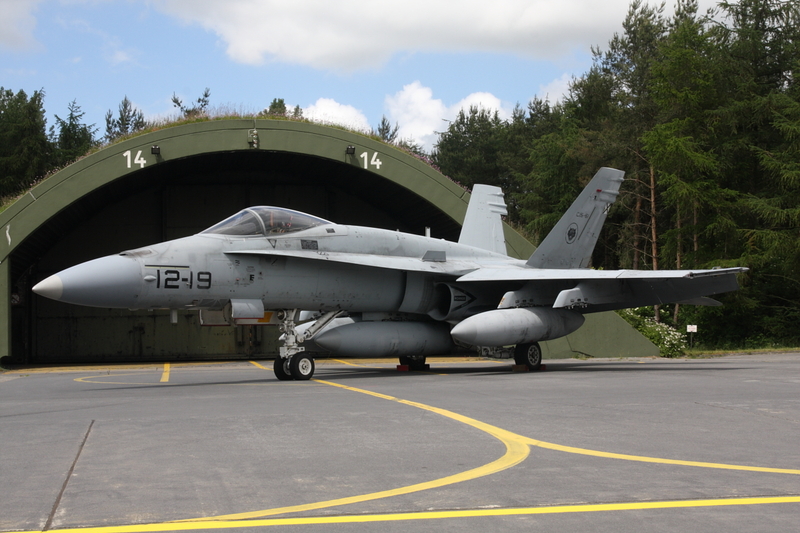 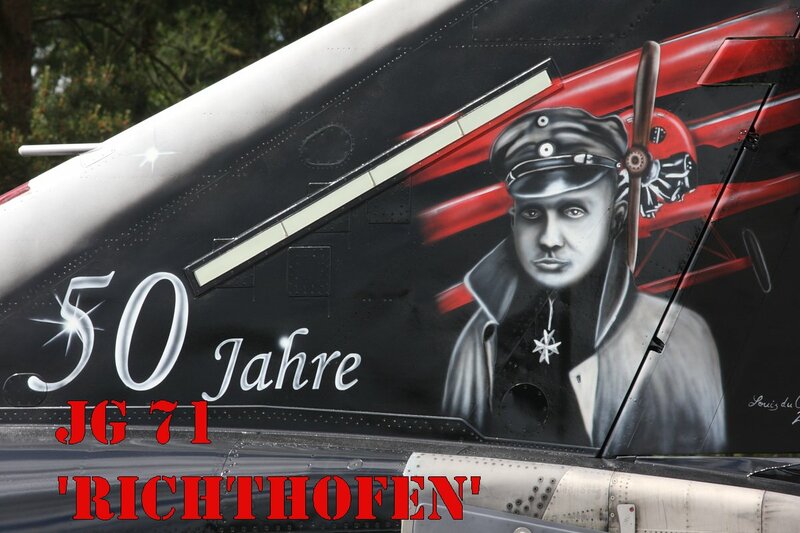 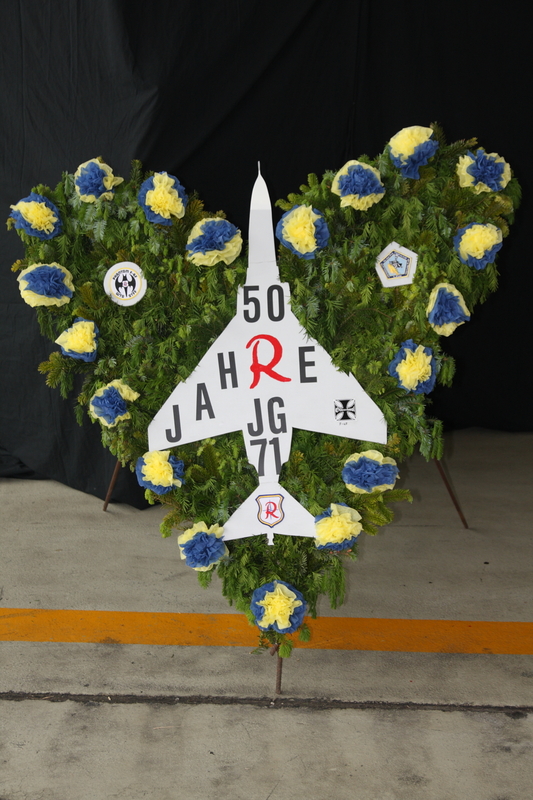 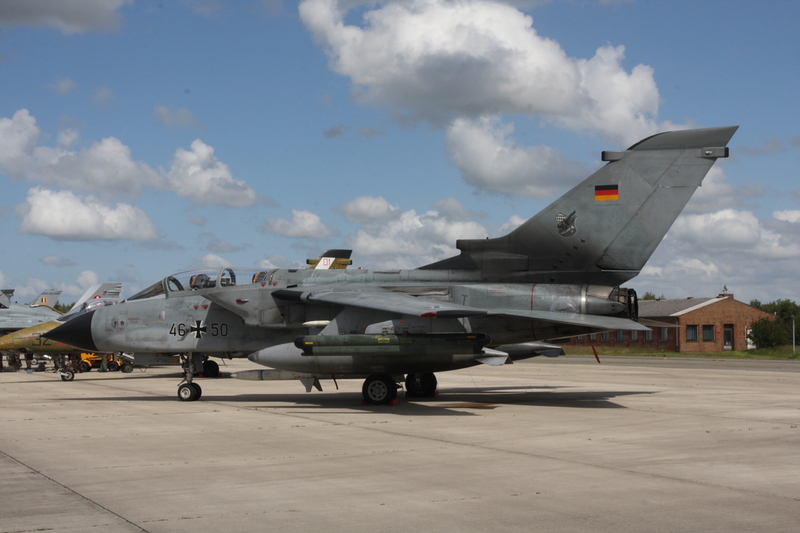 Jagdgeschwader 71 “Richthofen”, based at Wittmund in the north of Germany, celebrated its 50th anniversary in 2009. 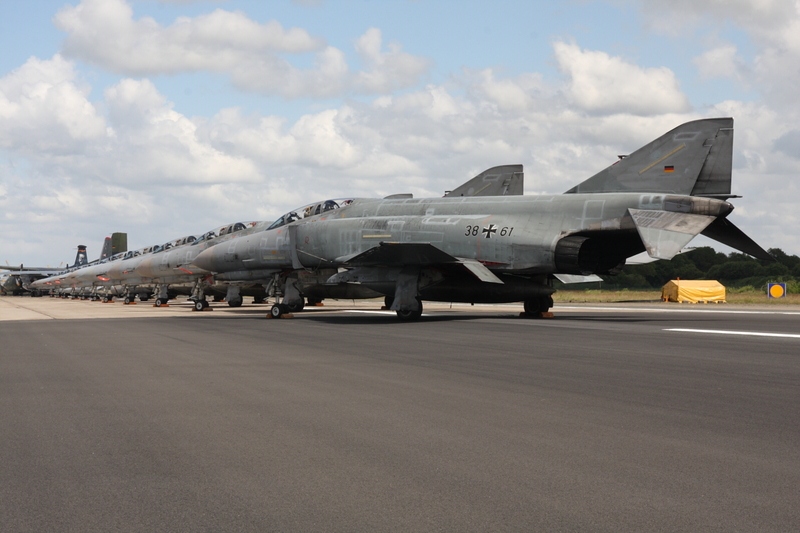 Part of the festivities was a spotters day on the 5th of June. 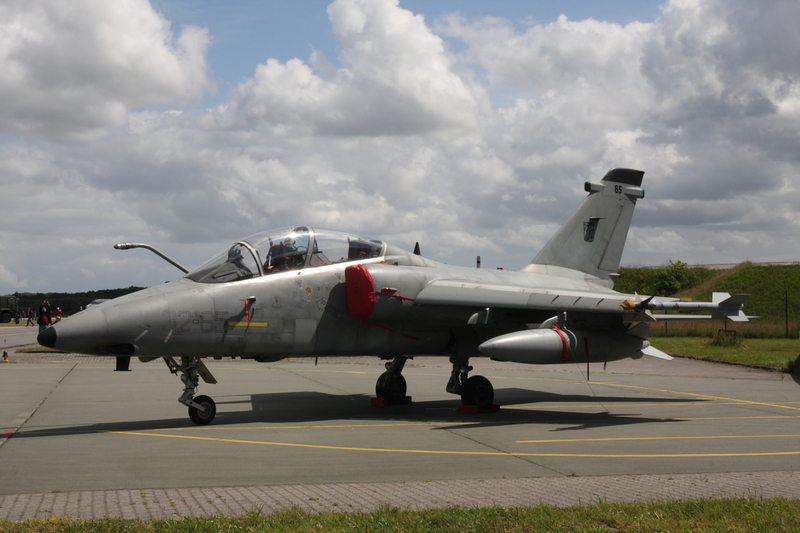 More then 850 aircraft enthousiasts from all over Europe visited this event to see a nice selection of displayed aircraft. 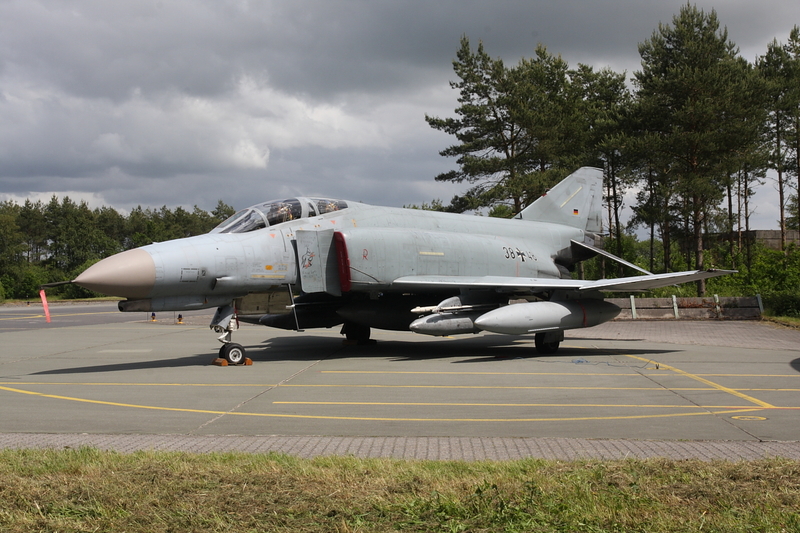 There were no flying activities that day but nevertheless it turned out to be a good day for photo shooting. 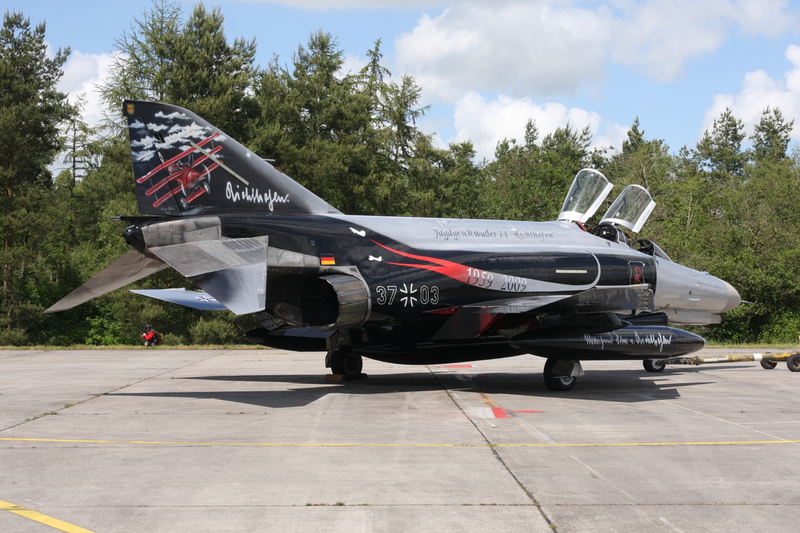 Highlight of the day to me, was the specially for this 50 years celebration painted F-4F of the Richthofen ‘geschwader’, with serial number 37+03. 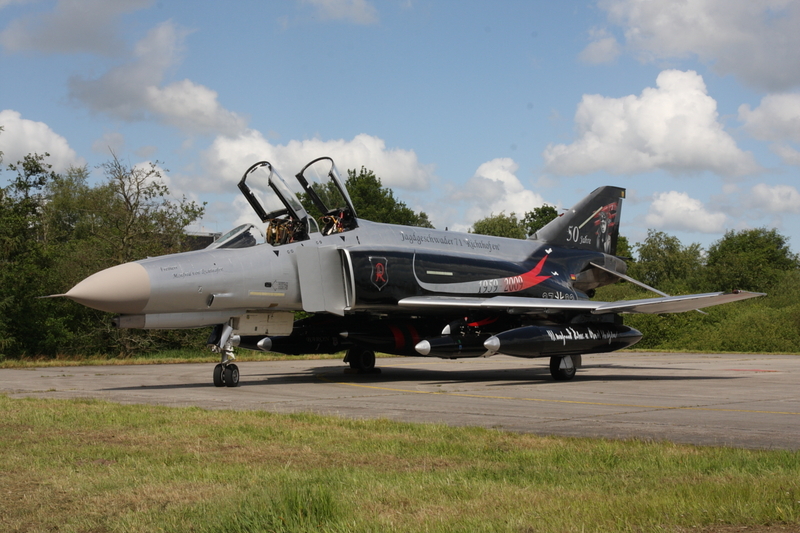 Besides this, a lot of other F-4Fs were displayed on the runway, to make up an impressive static line. 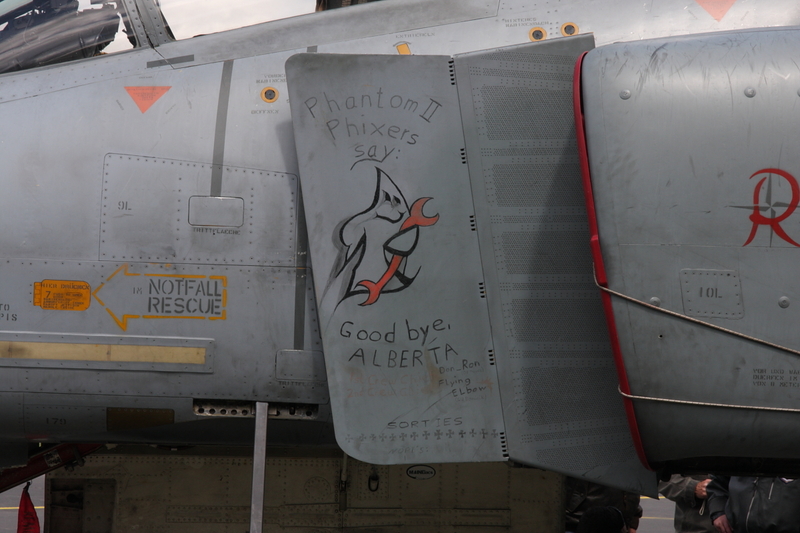 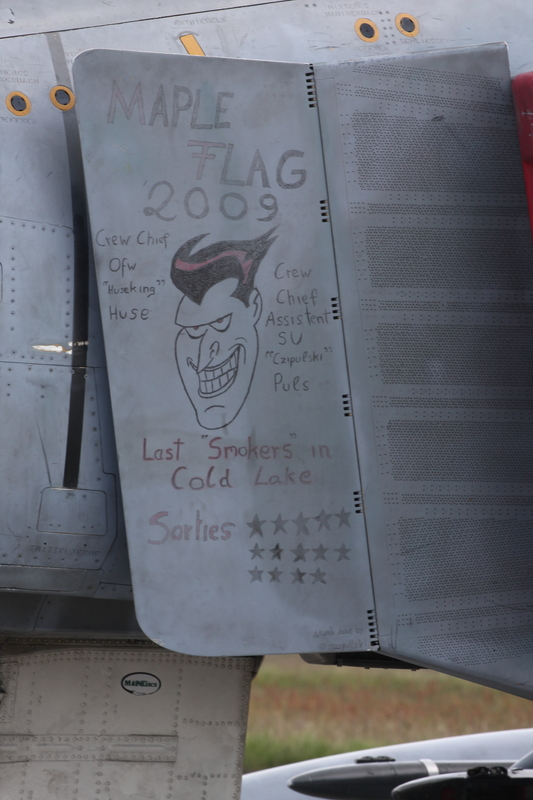 Some of them had not long before returned from Canada, after taking part in Maple Flag and still had some nice chalk markings on their splitter plates.